George Pine was a Bristol boy who fought with the Gloucesters from 1915 to 1918. He left for France in March 1915 aged 23. He was in action at the Battle of the Somme and the Third Battle of Ypres at Passchendaele. He was promoted to Corporal and then to full Sergeant before the Battle of the Somme. George sustained three serious injuries, one being a shrapnel wound to his face. George was wounded for the third time in September 1918. He had a bullet wound in the shoulder and sustained serious head injuries. 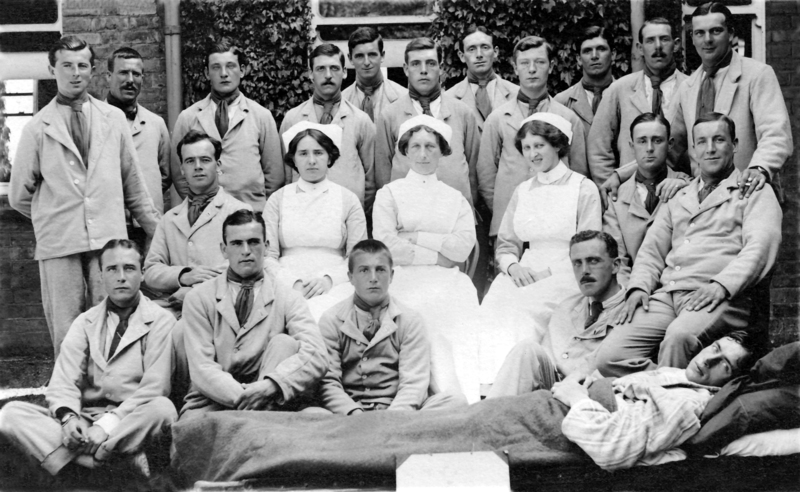 He was treated in Rouen and then transferred to the Beaufort War Hospital. He arrived swathed in bandages and was admitted to Ward 5. After the war his injuries made it impossible for him to return to his old job, but he managed to work as a ‘clippie’ on the Bristol buses.